When talking and thinking about Israel, you always hear the same things. "Israel is my home", "Israel is a homeland for the Jewish people", "I love the community and spirituality." There must be a reason that these are the top three sentences everyone says as they step off the plane from Israel, and start telling their family and friends about the trip. Why? is the community that great? does it really feel like one big family? When I think of Israel, I think of two defining moments. 1) I was there with my family in the Winter of 2008, and we were driving North to go see some family friends. We had the radio on, and over the radio in Hebrew, the host said, "If anyone needs a place to stay and eat for Shabbat, call this number...there are families in the North that are opening their doors for Shabbat." I was in shock; never in my life would I think that that was possible. It would never happen in America, let alone any other country. I will never forget that moment, it was then that I realized the Israel really is a home for the Jewish people, it's just one big family. 2) When I was there on a summer trip in 2011, my bus had traveled to the Kotel for the first Kabbalat Shabbat of the summer. We started by talking a little bit about the history of the kotel, and then we started services. I happened to be davening right up against the wall next to a friend of mine. This friend wasn't particularly religious, in fact, he was more of a troubled kid who goofed around a lot, and had a hard time connecting to Judaism all throughout his life. But as we started singing, "Yediiiiid Neeefesssssh." 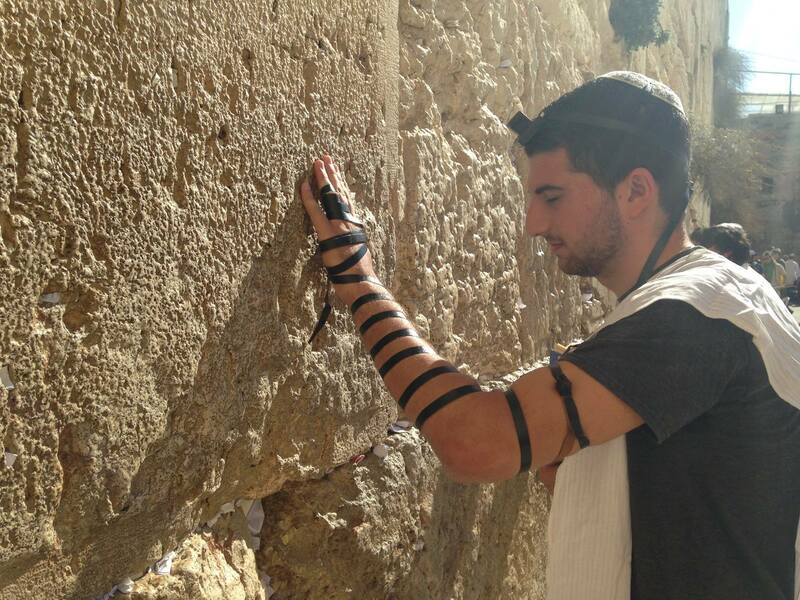 I looked over, and I saw my friend, with his hands gripping the wall with all his might, and his forehead flat on the Kotel. It was then that I realized, woah this place has a spiritual power unlike any other. Jerusalem is my favorite place in the entire world because of this. Just being there gives you this unique sense of holiness and spirituality. I have been very connected to Judaism and Israel all my life. Whether it was because of my dad who always spoke Hebrew in the house, the half of my extended family that lives there, or the numerous trips that always gave me an intense sense of pride for my homeland, I've always been in love with Israel, and it will forever be a home for me and the Jews.